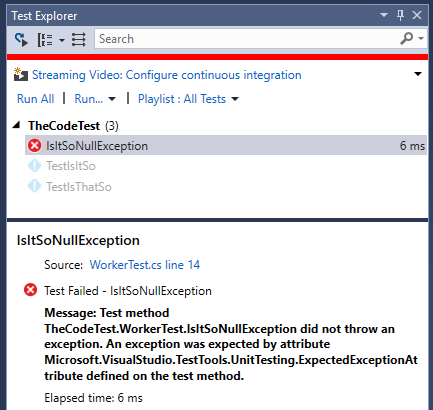 In a previous post the development of Unit Tests was presented (Visual Studio: Developing Unit Tests) but in each case the methods under test returned a value and none of the methods under test threw exceptions. 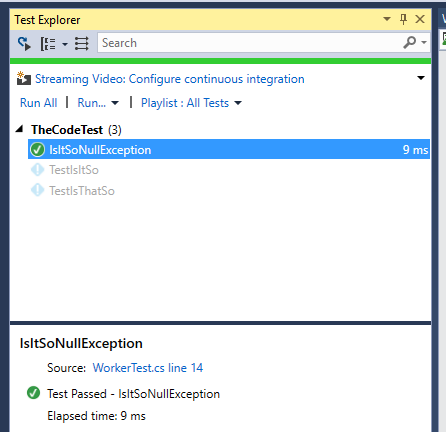 This post will present how to test exceptions using ExpectedException attribute from the Microsoft.VisualStudio.TestTools.UnitTesting namespace. 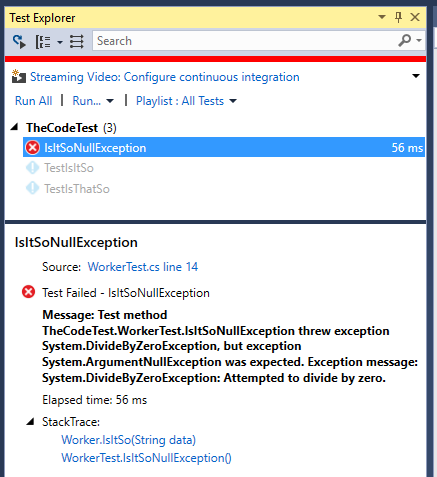 The second parameter is supposed to display when the test fails. 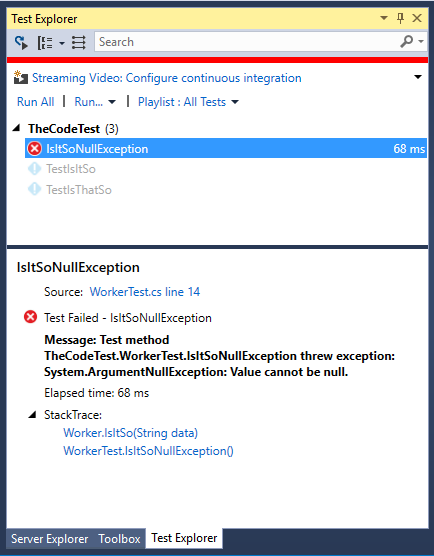 This behavior does not work in Visual Studio but according the postings on the web, this works when running MSTest or VSTest. So if developers need to convey information to QA with regards to test failure, this is the mechanism that should be used.